Enjoy weekends away with a lightweight wheelchair that folds easily and can be taken anywhere. 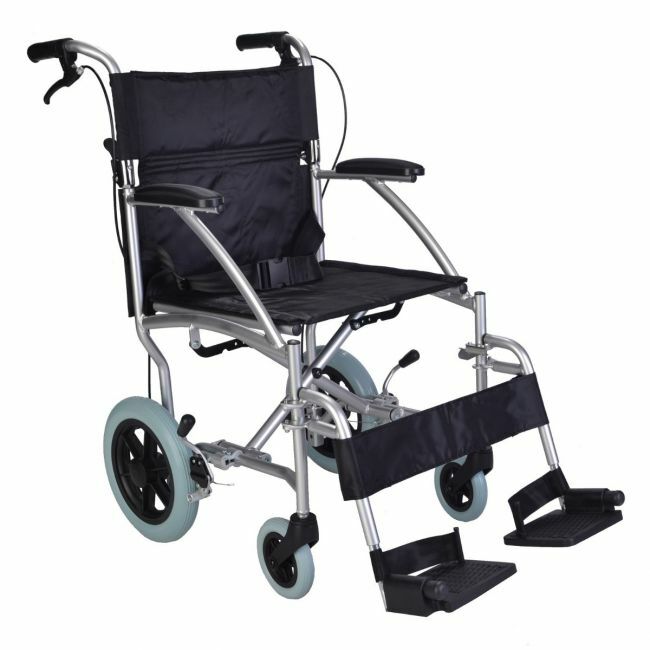 Ultra lightweight wheelchair ECTR08 with attendant handbrakes and puncture proof tyres. Fold up easily and compact so it can be stored and transported easily. Elevated legrests are now available for this wheelchair.